Miss Earth 2016 Katherine Espin is definitely one of the favourite queens of the year 2016, and there is no second thought as to why she shouldn’t be. Firstly, the Ecuadorian beauty is focused on what she wants, and secondly she is dedicatedly working towards her duties as the reigning Miss Earth. Apart from her duties and responsibilities, Katherine is also a social media addict, or this is what it looks like!! Whatever, it is, we love every update of the reigning Miss Earth. Talking about her social media, Katherine is quite active on her Instagram account, and the beauty never misses a chance to let her fans know her whereabouts... Her latest Instagram updates will surely give you major travel goals. Don’t believe us? See for yourself..!! 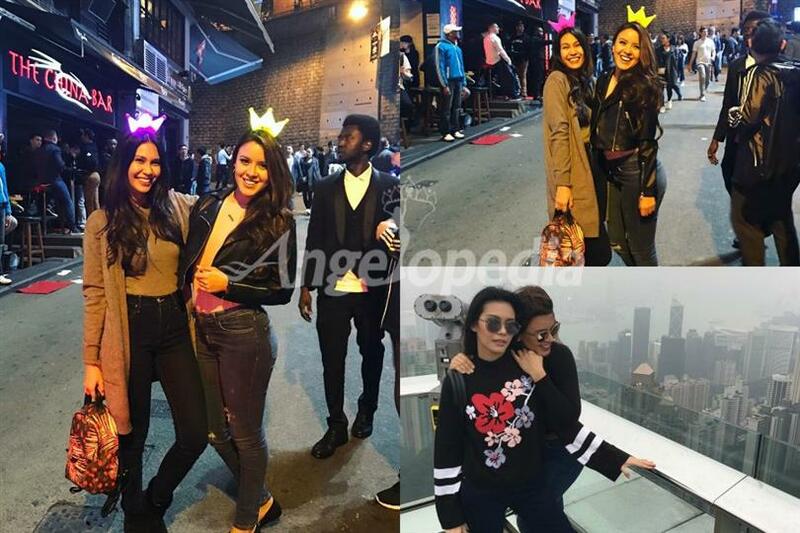 The reigning Miss Earth Katherine Espin, along with Miss Earth 2015 Angelia Ong, recently visited Hong Kong, and the two gorgeous girls had some FUN. Just look at these two... Do they really need a third person to make their trip any fun? We don’t think so!! Here is Katherine enjoying the sea side view in Hong Kong!! Katherine has earlier made it clear that her advocacy as reigning Miss Earth will focus on addressing climate change, calling it as the “most important environmental issue we have right now in the planet.” In addition to raising awareness about climatic change, the beauty queen said she would also promote eco-tourism among big companies, and bring in to practice the five environmental Rs - reuse, reduce, recycle, rethink and respect.